There comes a time when home healthcare Dallas makes sense for you or loved ones. As we age, our bodies and minds begin to slow down, and having a caregiver nearby makes sense. Asking for help and hiring a caregiver or home health professional is totally normal, and countless aging men and women do it daily. If you have a family member or friend who is aging and needs some assistance, finding a home healthcare Dallas company is easy. There are several different types of care for seniors and elderly adults. Senior living communities are simply neighborhoods, often with houses or condos, where all residents are of a certain age. The residents are still completely self-sufficient, but there are caregivers, cleaners, and drivers available at residents’ disposal. This type of healthcare for seniors is the most involved. People who are no longer mentally or physically capable of living on their own may move into a nursing home or care facility. Here, there are nurses and caregivers on staff 24 hours a day. In this type of facility, all cooking and cleaning are taken care of by the staff. Caregivers bathe and feed the residents and administer medications as needed. With this type of professional care for the elderly, caregivers make home visits. That means your loved ones don’t have to leave their home they have built so many memories in. Nurses or caregivers can make visits however often they are needed. 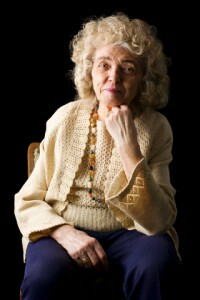 Some people prefer not to leave their homes to join a care facility. But people who need more than a daily or weekly visit from a healthcare professional can hire a live-in caregiver. These people live in the patients’ homes and are there to assist 24 hours a day as needed. Caregivers who live in patient homes may be required to cook, clean, administer medications, and assist residents in getting bathed and dressed. The caregivers may also drive patients to doctor appointments and other errands. There are many options when it comes to home healthcare. You can choose which type of care is best for you or your loved one and make it specialized for you. There comes a time when you just can’t do it all yourself anymore. Some people have a hard time asking for help, wondering if they will become a burden to others. One way to maintain independence and your family relationships is to hire a personal care assistant from our Dallas home care company. We offer many services to help you remain independent and at home longer. View this video to learn more about the home care services we offer at Hour Family Home Care in Dallas TX.